For most of its 22-mile length, the Marvin Braude Bike Trail carries bicyclists directly alongside the Pacific Ocean, providing exquisite seaside views and direct access to many of LA’s most popular beaches. 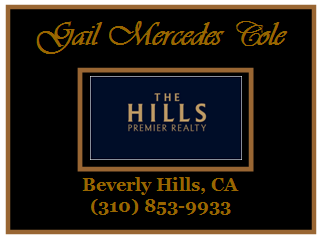 But for nearly four of those miles, riders must retreat inland to circle around the many basins of Marina del Rey. It’s a minor inconvenience, but one that has long irked Trevor Abramson, an avid cyclist and design principal at Abramson Teiger Architects. “For years I’ve pondered what a solution could be,” he says. Now, he’s come up with one—and it’s ambitious. 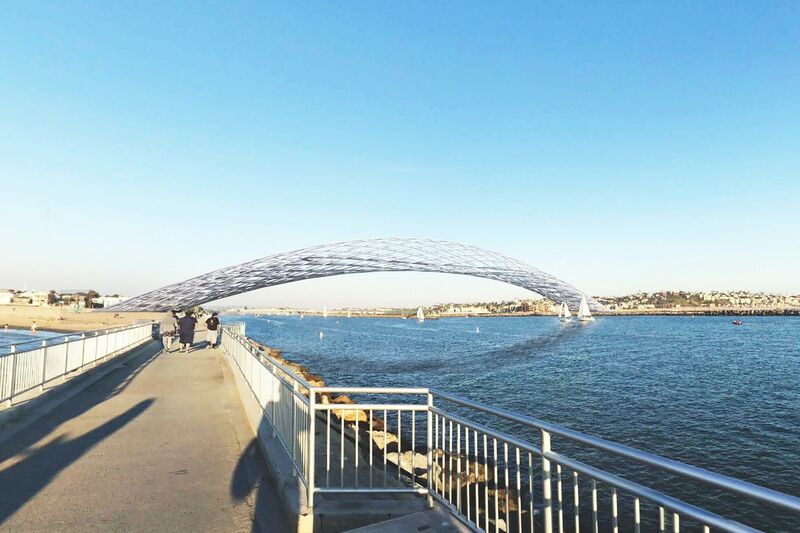 The architectural firm revealed renderings this month for an enormous steel bridge that would cross the mouth of Marina del Rey, giving pedestrians and bicyclists a new path across both the harbor and neighboring Ballona Creek. The project hasn’t been proposed by any government official or private developer, but Abramson says he drafted plans for the concept to try to attract public support and “start a dialogue” about the idea of a bridge across the marina.